“Controversy over CSA scores heated up again when the FMCSA this week returned BASIC score “absolute measures” to public view. CSA alerts. These are yellow triangles with an exclamation point that indicates a carrier is above a certain threshold in a BASIC category. “Absolute measures” in the BASIC categories. In these measures, violations are rated by time and severity and the scores do not vary based on the performance of other carriers, as the relative percentiles do. “While it is not illegal for FMCSA to post these absolute scores, doing so represents an affront to the intent of Congress when it passed the FAST Act,” Tucker said. “Keep in mind that not all freight brokers were happy that CSA scores were removed last December. 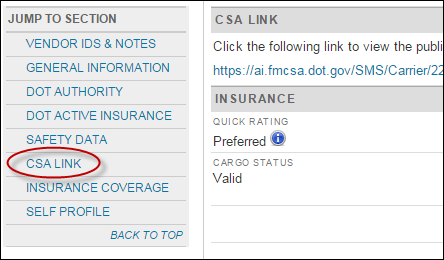 In my January blog post Without CSA, “We’re Choosing Carriers Blindfolded”, some freight brokers argued that they relied on CSA data when selecting carriers. One broker commented that if two carriers were interested in a load, she would always choose the one with better CSA scores. 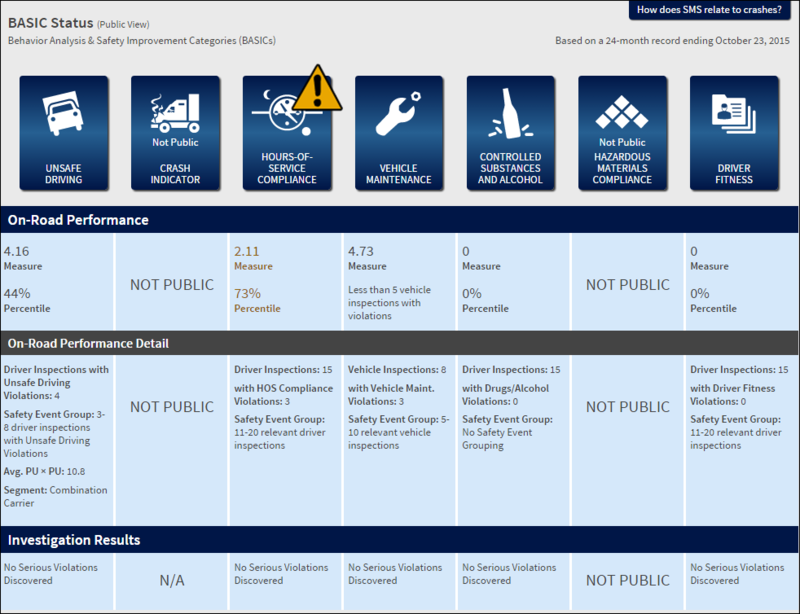 This screenshot was taken from the FMCSA’s Safety Measurement System website in early December before CSA scores were removed. It shows relative percentiles (under the On-Road Performance heading) and a CSA alert (yellow triangle with exclamation point), which can no longer be seen by the public. The FMCSA this week returned to public view “absolute measures,” which are shown in the first row under On-Road Performance. “Shorepower Technologies partners with DAT to offer a special on the TruckersEdge load board to its members. Sign up for TruckersEdge today and get your first 30 days free by signing up at www.truckersedge.net/promo731 or entering “promo731” during sign up.